Elgaar Farm is located in Deloraine, 50kms west of Launceston in Tasmania. Founded by Bavarian dairy farmers Joe and Antonia Gretschmann in 1986 they set about converting the farm and by 1991 it was certified organic. Elgaar Farm is the type of place that were you reincarnated as a Jersey Cow this would be as close to paradise as you could get. Here, every cow is named, they are free to roam the organic pastures, nibbling on herbs and clover and when the time comes and they are too old to be milked, they see their life out on the farm in happy retirement. It's said one of their oldest cows lived to 38! 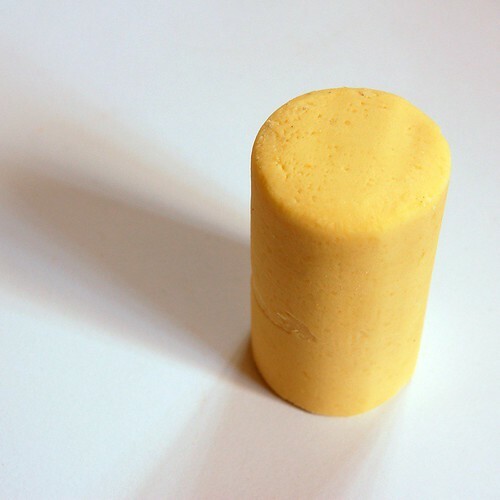 The cheese I'm looked at today is a Vintage Cheddar - but don't be lulled by this rather nondescript black cylinder - this is one vintage cheddar that bites back! 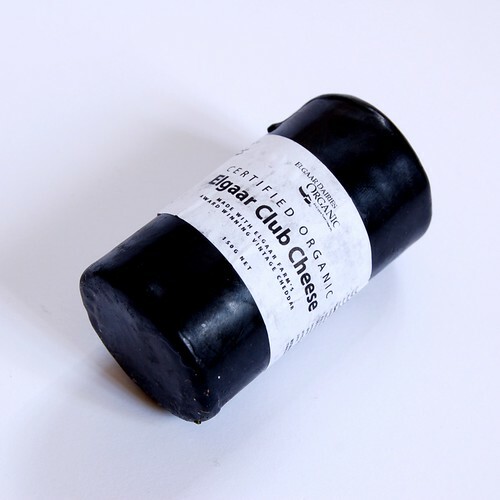 Peel off the black wax and this golden core of cheese appears, made from selected wheels of Aged Vintage Cheddar - you could be excused for thinking that it's butter. Texture wise it's soft with a slight crumbly texture and it just entices you to cut off a large chunk. 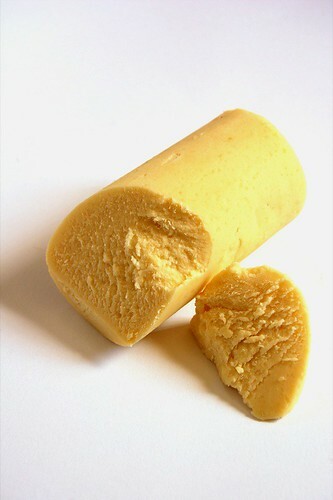 But beware, beyond the creamy mouth feel, there's a massive kick, a spice unlike most cheddars out there. I must admit it even caught Paalo by surprise - my warning came a little too late as he succumbed to temptation and popped a generous shard into his mouth. His initial reaction to the pleasant creaminess soon gave way as the cheese bit back. I would recommend serving this with something more robust than a cracker - a hearty grain bread is a better match. Pickled onions and gherkins, cured meats and this cheddar will round out a rather pleasant ploughman's platter.